I must say that time is just flying! 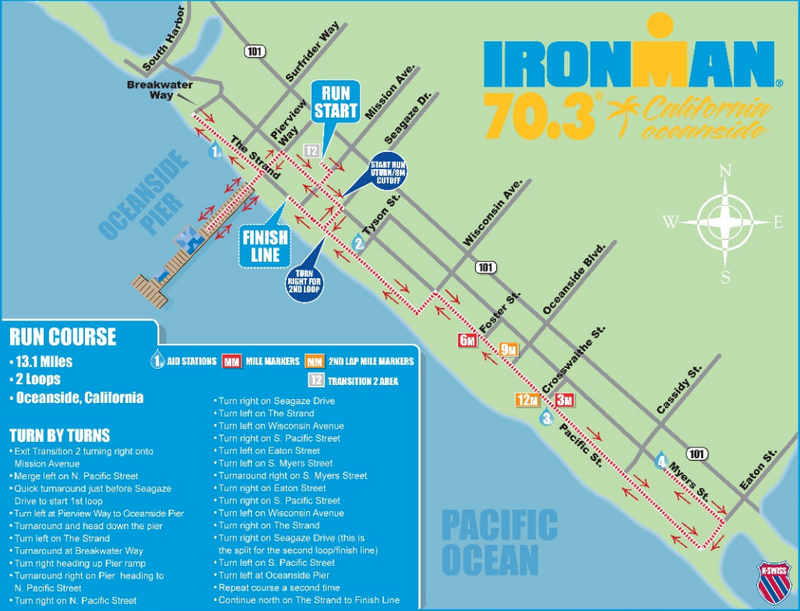 When I signed up for Oceanside Half Ironman and Coeur D’Alene Ironman back in July, the races seemed SO far away. Now here I am, just days away from my first 70.3 and less than three months from my first 140.6. It’s scary to think that there are less days til Ironman than days that have passed since last Christmas. I learned a lot just on the practice triathlon that we did earlier this month and I’m sure a real race of this distance will come with even more valuable lessons. Since this will really only be my third real triathlon (I’ve done three practice triathlons), I know I have a lot of learning to do! Most of the strategy/advice in these articles is similar. I actually read Jim Vance’s 2010 strategy back before the practice triathlon and started practicing his recommended fueling strategy then. The swim is in the Oceanside harbor and NO pre-swimming is allowed. I plan to do an on land warm-up by first running for a bit to work up a light sweat, then I will do some dynamic stretches as I wait for my wave start. T1 closes at 6:30 and my wave start is at 7:27 so I have plenty of time to warm-up and wait! I plan to take a Gu about 15 minutes before my wave start. As soon as I get in the water for my wave, I plan to immediately dunk my head and blow bubbles out and get water into my wet suit to avoid the shocking cold once I get started. Currently the water temp in Oceanside is 55-58 degrees. My first instinct on the swim was to go pretty hard for most of it since it’s pretty short. However, Mike pointed out something to me that made a lot of sense – the difference between my base (1:40ish) and -5 base in terms of effort is pretty big. However, those 5 seconds that I’d lose by cruising at base or just above are pretty negligible in terms of overall time. If I slow it down and just take it easy, let’s say worst case scenario I lose 10 seconds/100 which is only 200 seconds or 3 minutes 20 seconds. I’m sure if I get out of the water feeling fresh and my heart rate is not through the roof, I’ll make up that time on the bike. And if I don’t, I honestly don’t really care that my total time is 3 minutes slower. The TriForce blog above actually also mentioned this strategy. Believe me, I don’t plan to completely lay off – I’ll cruise at about 70-80% effort. So my swim strategy is to swim as straight as possible with medium effort. Unfortunately the buoys are all on the left and the swim course is not straight, so I’ll have to do some alternate breathing at times. The majority of the race I will breath on my right, every other stroke, as this is what I am used to. In an ideal world, I”ll find someone who is at a similar pace as me and try to draft off of them. However, since this is a wave start, it may be difficult to do. As for time, based on my Olympic (1500 meter) swim time of 27:02, I should be able to complete 1.2 miles in about 35 minutes. To be safe I’ll say 35-40 minutes. Hopefully I’ve gotten a bit faster since September as well! The Oceanside bike course is kind of tricky. The beginning of the course is deceptively fast and easy and people have a tendency to really push hard with all the adrenaline and excitement from the race. The main piece of advice I receive from veteran Oceanside participants is to TAKE IT EASY on the first half of the bike course. Miles 1-24 are flat and usually have a tailwind. I am hoping to average about 19-20 mph in this section but I’m going to not pay attention to pace at all – just effort. I plan to stay as aero as possible and to focus on taking in my nutrition and getting my heart rate in zone 2. My zone 2 is 150-170 and I hope to keep it at 160 max during this portion of the race. Miles 24-42 are the rough ones – lots of climbing! I plan to just focus on spinning as much as possible up the hills and NEVER let my heart rate get over 170 and leave Zone 2. Based on prior experience, my heart rate will probably be in the high 160s during these miles but I need to really hold back and not let it get too high. After the hills end (including a super steep descent that has a speed limit of 25 mph because a participant died one year taking it too quickly), it’s time for 14 miles of relatively flat riding. However, there is typically a VERY strong headwind during these miles which makes them pretty difficult after all the climbing. My main focus at this point will be of course to keep my heart rate down but also to stay aero as much as possible. As for bike nutrition, I plan to consume about 200 calories/hour. I will have a water bottle with plain water in my aero bars and a second water bottle in my cage full of highly concentrated CarboPro and Nuun. I will have 6 scoops of CarboPro and 1.5 Nuun tablets, for a total of 600 calories and 540 mg of sodium. I plan to put the highly concentrated mix in a water bottle that is clear so that I can gauge my progress on fueling as I go. At the halfway point, half the water bottle should be gone. Originally I was thinking I might just go for straight liquid calories but I get really hungry on the bike during my long rides, so I decided to also add in my favorite long ride snack, Stinger Waffles, into the mix. I have these on every long ride so I know my stomach can tolerate them. I plan to break up two waffles into a plastic baggy and have it in my bento box (unzipped as I learned at my practice tri). This will add 320 calories for a total of 920 calories on board. I also will have 2 spare Gus in my bento box in case something happens to my fuel (ie I drop it). I am a little nervous about the bike aid stations on the course. The first two aid stations are on a hill meaning that everyone will be riding at a pretty low speed so that should be fine. I think I will only need to refill my front water bottle one time during the race, most likely at the 2nd aid station. I’ve gotten pretty good at drinking and eating on the bike but I’ve never been handed a water bottle and attempted to refill my own while riding! If I feel like it’s a little sketchy, I won’t hesitate to get off my bike and refill. I’m guessing at some point on the bike I will have to stop and use the restroom, as I have the bladder of an infant. I don’t plan to pee myself on the bike – all I can think of is the pee running into my shoe and making my socks wet! Gross. As for time, I am going to try not to focus on my time or pace at all on this ride, just my heart rate and how I feel. However, I really would like to finish the bike under 3:30. 3:15 would be even better but I really have no idea what to expect since I’ve never raced this distance before. Based on prior rides, I think somewhere in this range is realistic. In T2 I plan to have a frozen water bottle with 1 tablet of Nuun in it. Ideally by the time I get to it, the water bottle will be unfrozen and nice and cold. I’ll run with the water bottle as long as I feel like it and then throw it away. I don’t plan to drink the sports drive provided on the course since I haven’t practiced with it. I plan to take 1 Gu ever 40 minutes, which is the same strategy I use during marathons and half marathons. Depending on how I feel coming out of T2, I may take a Gu right away. I plan to start the run nice and easy and catch my breath. I really want to enjoy this race! I will concentrate on having a high cadence and keeping good form to conserve as much energy as possible. At the halfway mark, the race will really get started, given that I have saved enough energy. If I’m feeling good, I’ll pick it up a bit, or if I’m just feeling ok it’ll probably be a struggle to keep my current pace but I will try to do that. If I paced myself correctly on the bike, according to my sources, I should be able to run this half marathon at my open marathon pace. My open marathon pace is about 8:45, so that would put me at about a 1:54-55 half marathon. Ideally, I’ll run the half marathon under 2 hours but honestly I will just be happy to finish! 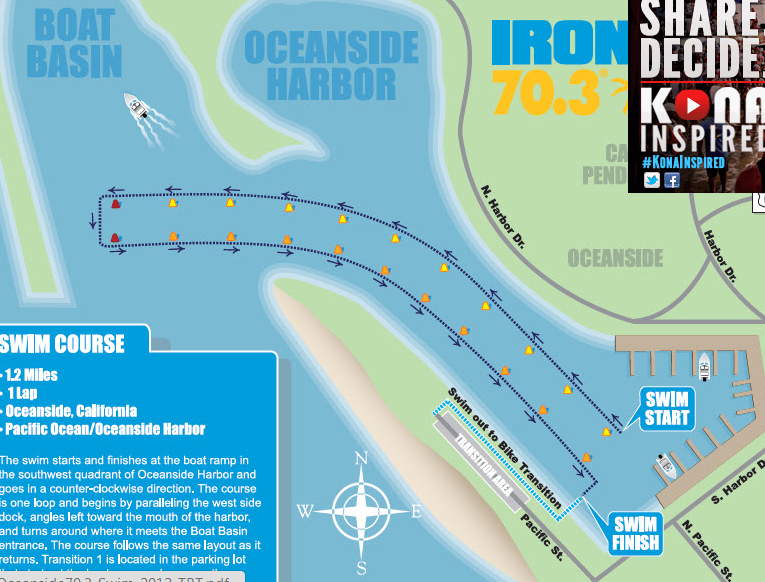 This course is relatively flat, although we do have to run up and down a very steep ramp from the pier down to the boardwalk two times. Also, the course itself has some rollers. 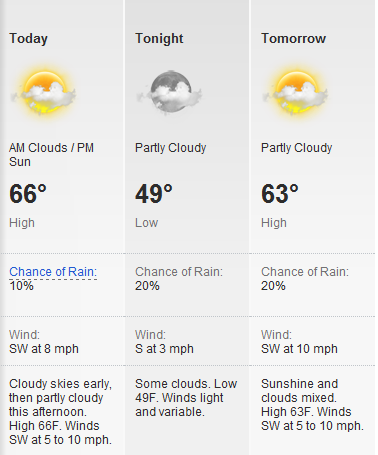 I am a bit nervous about the temperature being too cold, but I’m sure once I’m out there I’ll warm up. One big change in the course from last year is that this year there are two transition areas. This means that while I”m in T1 I have to stuff all of my belonging into a bag before I leave so that they can transport my bag to T2 for me at the end of the race. This will add a little bit of time to my transition as I’ll have to take the time to do that. Also, the run course is more hilly this year due to the addition of the ramp from the pier to the boardwalk. So, based on all this info, I predict that I’ll be finishing this race between 6 hours and 6 hours 30 minutes as long as there is no major catastrophe! If you are interested in tracking me, my bib # is 1903. Oops did I leave that out!? Haha yes of course that is my #1 goal! That’s why I do this! Good luck! I’m volunteering at T2 checkout. I’ll cheer you on! wow, you’ve really got your sh*t together! reading through this (and those excellent links) just made me realize how unprepared i am! actually, though, we have fairly similar strategies and goals. my biggest one is to simply improve on my times from my first 70.3 and see where i’m at with my current training. the hills on the bike are my biggest worry, as is nutrition as i have a tendency to underfuel on the bike. i’ll be in the same swim wave as you so i’ll keep an eye out : ) thanks again for the great info, good luck!!! I’ll look for you tomorrow! Great strategy, go slow on the run to start and then build up! Drink and eat at every station and carry your own water if possible. That’s the one mistake I made on my first 70.3. I am so impressed at how well organized you are! 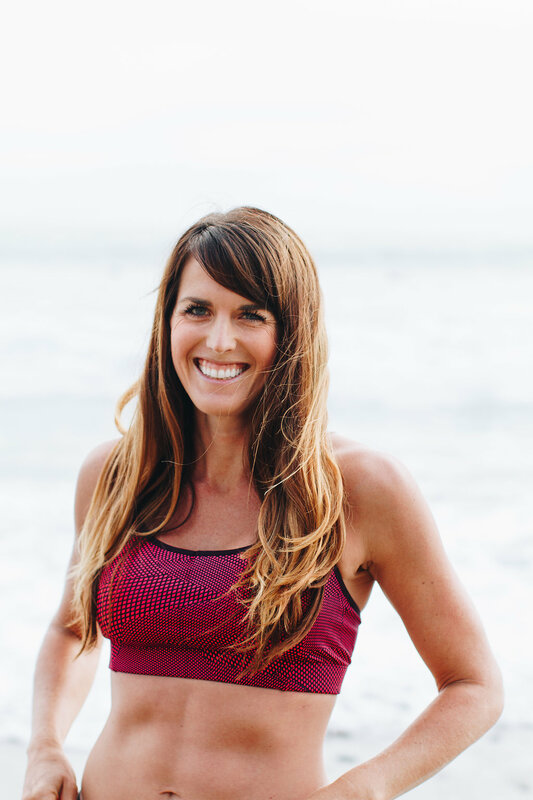 It sounds like you really know your body and what will work for you. Have an amazing time! I am so so so excited for you and just remember, it’s not what happens to you, but how you handle it. If something goes wrong, no biggie. Just keep on keepin’ on. GOOD LUCK! Ihope everything went well, I can’t wait to hear about it.